The DoubleTree by Hilton Seattle Airport is the prime destination for cultural weddings in the Seattle area. Our largest ballroom boasts an impressive 13,600 square feet with 14' Ceilings. We can accommodate events with up to 1,000 guests. At the DoubleTree by Hilton Seattle Airport we understand the importance of integrating culture and tradition into your wedding, which is why we have put together a comprehensive wedding package to include the use of an approved caterer of your choosing. Our expert team of event managers are knowledgeable in wedding customs of many different cultures, and will help you bring tradition to your dream wedding. 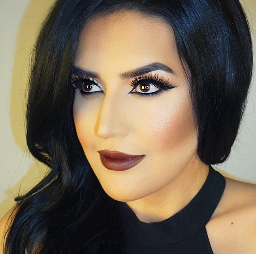 Bio: Maryam Sarwary is a Los-Angeles based Makeup Artist! She works with international brides and celebrities red carpet looks. She teaches makeup classes in Seattle and Los Angeles and she does makeup tours in other states and countries. For any inquiries please text 206-293-7569.